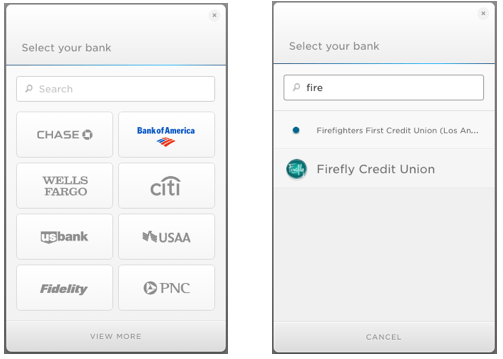 Plaid has added new banks to the ACH Donation option – there are now about 1,000! As a donor, if your bank does not come up on the first page of the ACH Bank Donation, we recommend using the search bar to search for your bank. As a reminder, you must be a US customer to receive ACH donations. In order to enable the ACH donation option, you must go to your account and, on the “Account Info” page, scroll down until you find the “Enable ACH Bank Transfer Donation” toggle button. Once you’ve clicked the button to activate ACH Bank Transfers, update your account and you’re all set. Stay tuned – recurring bank donations are coming in a few weeks! We know every country looks at time and dates differently. The default timezone for most organizations is GMT. However, by going to your account and clicking the “Localization” button on the left, you can now change your localization settings. This includes changing your time zone as well as your preferred date format (mm/dd/yy, dd/mm/yyyy, etc.). 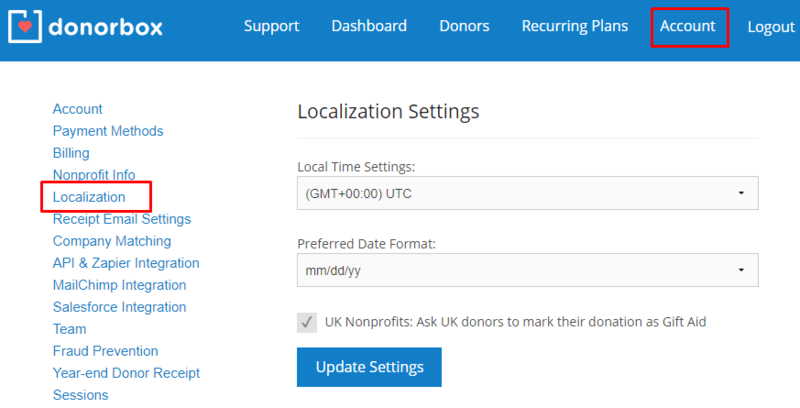 Once you update these settings, all of your donation timestamps will change to match your preferences. Is ACH available for monthly donations? I have many donors asking about that. Thanks! ACH is now available for recurring donations!